I am often asked which social networks are best for a particular company or organization. This is, of course, because different social platforms attract difference audiences based on the nature of the technology that powers them and the community and content they attract. 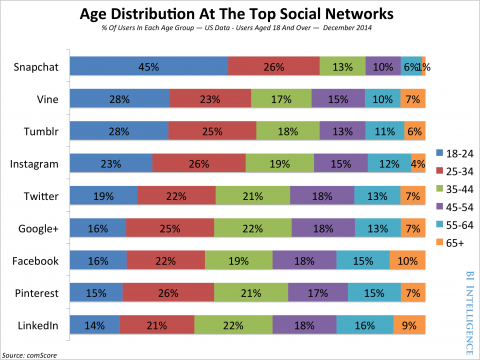 There really is no “de facto” social platform, with the possible exception of Facebook, which is pervasive across nearly all demographic groups, except youth. A report from earlier this year from BI Intelligence clearly shows the strength of these three platforms among 18-24 year olds. Conventional social media strategy wisdom, of course, is that you would only put a lot of resources into these three platforms if your customer base skews quite young. Conversely, if your customers skew older, the data indicates you would lean toward a Facebook, Pinterest, or Linkedin-oriented approach. But what if you totally disregard that mathematical evidence, and put substantial resources in platforms and venues where your FUTURE customers reside? This is what Lowe’s, Corcoran Group, and Nescafe are doing, and it fascinates me. Don’t Hunt Frogs, Hunt Tadpoles? All three of these organizations are producing rich content on a routine basis in platforms and venues that do not match their current customer profile. But, given the comparative cost effectiveness of digital (versus broadcast and other mass initiatives), they can create engaging content in social for these audiences that will be customers eventually, while also providing content for current customers. I call this technique DemoCasting, intentionally reaching out to demographic groups that are adjacent to your core. highlight to tweet – it’s fun! Lowe’s very popular (and much-awarded) Fix in Six program actually began on Vine, when the platform first launched. This ever-growing collection of handy 6-second tips has generated millions of loops on Vine, despite the fact that a record number of adults are living with their parents, and home ownership among young people is at historic lows. Certainly, some of the Lowe’s Fix in Six executions provide hints and tricks that do not necessitate home ownership to be useful (see the example here). But overall, the brand is very aware that the content and its presence on Vine is DemoCasting, and seeks to reach the eventual sweet spot for Lowe’s. 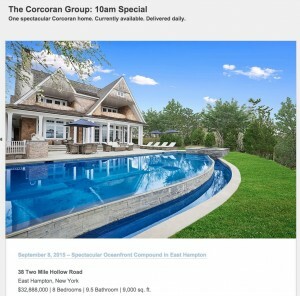 Luxury real estate company The Corcoran Group (founded by Barbara Corcoran of Shark Tank fame) sells homes that are out of reach for young people not named Khloe, Kourtney, or Justin. Yet, they have a daily post on Tumblr called the 10am Special, that spotlights a glamorous, Manhattan or Hamptons palace. Why? According to Corcoran’s former digital manager, the brokerage wants to be THE name in luxury real estate and making that happen includes brand-building with tomorrow’s buyers. 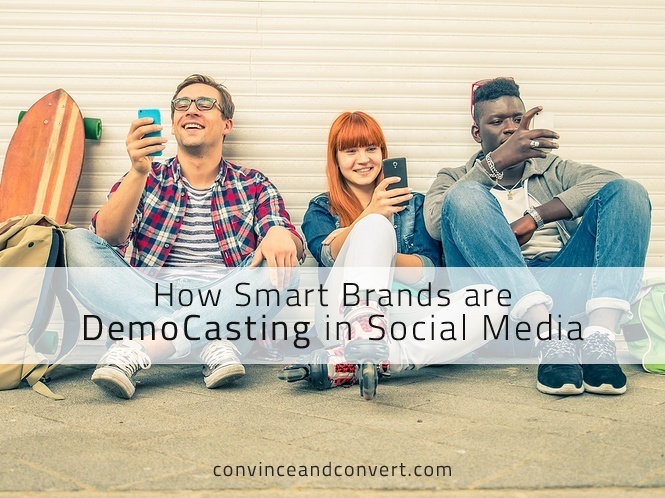 Learn more about their incredible social media and content marketing program that includes DemoCasting and a lot more, in this episode of the Social Pros podcast. Is Nescafe DemoCasting on Tumblr Too? Recently, Nescafe – the coffee division of Nestle (the world’s largest food company) – announced that they are moving most of their digital operations away from the traditional company website to Tumblr. With the exception of e-commerce and some specific functions, the remainder of the brand’s “website” is now on Tumblr. Chrisment went on to say that the aim was to build relationships with younger consumers. Sounds like another DemoCasting move to me. Do you see a role for DemoCasting in your organization? Or is it a bridge too far?